I've been planning to visit my sister in Romania for almost three years now. When I was in Singapore, I started to gather information for the required documents and even searched for the Romanian embassy's location. But due to some financial adjustments and other priorities, it wasn't pushed through. Nevertheless, when I transferred here in Dubai, the plan came back to life. It is actually way better since the plane ticket is much cheaper and will only take me 5 hours of journey. You have to pay 330 AED upon the submission of the documents. As for the location, you just need to say to the cab driver: Jumeirah 1 12B St, behind Spinney's and opposite Beach Road. If you have a car, better to use GPS and locate 12B Street in Jumeirah 1. Click the Apply Visa link. Then you will select which visa type you will need. Upon registration, a unique number will be sent to your email so that if you choose to continue the application on some other day, you will this and your chosen password. After completing the registration and information, you will need to upload the same requirements stated above. Next is to submit the application via 'Send File' link and you will need to wait once they validated it. They will send confirmation in your email. Lastly, they will send the application date and time. You can reschedule it if you want by visiting the same address. How much time did it take to get the visa? Hello, the consul will get your mobile number and will call you once the visa is ready. It took me 5 working days before the called me to pick it up. Thank you very much for posting this info. I'm really planning to visit Romania and transit in Bulgaria on fall. The original plan was to visit Germany/Schengen States but I'm really hesitant and not confident because I might produce more and more money and maybe I will get denied. This is really one of my fears as I have been denied by a visa last year. I've read so many good reviews about Bucharest, Romania and it was actually the cheapest city in Europe/EU. I'm almost done with gathering the documents now. I'm really happy that Romania don't need an NOC. That is the paper that took too much time to obtain. lols! Indeed, thank you very much. I like your photos in Romania. So Europe! Finally I got my Romanian visa. Their visa application has the longest waiting period (by far). It took me 38 days before I got my passport. Their reason was they had a problem with the visa printing system (i doubt it..heheheh). I dont like their schedule as they are open twice a week for visa applications. Anyhow, still happy with the waiting time. They granted me 15 days. That's good news but 38 days is a very long waiting period for a visa. Anyway, it is good that they have granted you 15 days. Enjoy your holiday and hopefully I can see some pictures of your tour. Have a great day! Hi Carlo, my friends and i are considering romania as the last option for our holiday destination next month. I was just wondering if the visa requirements you've mentioned here is updated. I believe it is the latest. I got a friend who was granted a visa recently. Romania is a very nice place. Enjoy your vacation. One more question though, do you think they require a 3-months uae residence visa validity from the travel date? We recently tried to acquire a Schengen Visa but our application was denied by VFS since my residence visa here will expire in December and the travel date we are applying for is in October. We felt really bad about it so we are now checking other countries. I am not really sure about that case. My residence visa was valid for 2 years when I applied and my friend's was 1 year. I think it will be better if you call them (+97143492971 & +97143492972). Good luck! This is Anwar and I'm back from Romania! I truly loved it. Not that expensive, weather is so fine, everything is accessible, the views are fantastic, I felt the presence of Europe, etc. Thank you so much for the info last time. I recommend also the country to my friends and others who wants to see Europe at a less expense. Im so in love with Sibiu/Hermannstadt! wow! that's good! i also love sibiu... encourage more friends to visit romania! Hello there! Yes, there is no need for NOC. But they will require a financial information. It could be bank account statement or salary certificate. There is no need for appointment but you must be aware of their operating hours. Thanks for dropping by! Hello. Where did you get the application form? thanks! nice blog! Hello, you can get the application form from the MFA website of Romania. Here is the link: http://www.mae.ro/en/node/2060. Also, I think they have now an eVISA application on the same website. I haven't tried it but I heard it is easier. Thanks for dropping by. So i can apply it in dubai also ? Hello Abdulla. I live in Dubai so I applied visa in Dubai. There is no need to go to Abu Dhabi. Dear Walid, they will not require an invitation letter so you don't have to worry about it. Thanks for dropping by! Hello! Yes, they might require 50 EUR per night so make sure you have enough budget. But honestly, the most important thing that most of the embassies/consulates check is that the money that entering your accounts are all legitimate and no "monkey" business involved. Would you happen to know what are the key points that they are checking on the bank statement? Most of the embassies, they normally check on the entries on the bank statement. They just need to ensure that there is no illegal source of funds and that all incoming and credit transactions can be explained. Thanks. Ive seen the axa website, the travel insurance policy will be sent via email then? Also, i'll be travelling alone, is it a good place for a sole tourist? Hi, do i need to have an appointment or can go straight to the embassy and hand over all the requirements. And also where can i get a travel insurance? Hi Carlo, does the bank statement need to be stamped by the bank? Thanks! Yes Jeri, the policy will be sent into your email and yes, it is a good to travel alone. Romanians are really nice. Hello Anon 3:05, in the update stated in my blog post, the visa application is now online and they will provide you the appointment date and time. On their website you will upload the requirements and make sure to bring original and hardcopy during your interview schedule. Use AXA Gulf for your insurance. Hello cookie, yes the bank statement needs to be stamped. I am confused, I just applied a visa last week and invitation letter was not required. Not sure if there are current changes but have you tried the online visa application as I mentioned on my post, there was an update. You can visit this page: http://evisa.mae.ro/ and better to apply online. Regarding the bank statement, actually what they are looking for..now I have 17000 aed balance but last two months nill balance in the month end but had transactions of around 15000..that would be enough ?? As far as I know, the embassy checks how much is your average account balance and that each details (whether credit or debit) is explainable. Meaning, there should be a clear information on where you get your money and how you spend it. This is to ensure that you are not getting any illegal money or some unexplainable source of income. Hey Cookie, on their website, it will take 21 days to process the visa. But I heard that some of the applicants gets it earlier. There is no definite or exact time that a visa can be release due to some reasons that the consulate may relay. I'm sure that they are doing the best they can but it also allows the applicant to submit earlier in order to avoid inconvenience. I just recently applied for a transit visa and it was approved within 8 days. Hello Carlos, first of all thank you for posting this detailed procedure about visa application to Romania. My husband and I are planning to travel early next year, but before that I want to study first all the procedures, first, regarding the bank statement, my company is still on cash basis on our salary but I have NBD account and I always deposit the exact salary that I'm receiving then withdraw once in a while, do you think it will be fine? Any minimum salary needed? Secondly, regarding the Salary Certificate, if I will request that to our company what will be the purpose coz for sure they will ask for that. I have salary cert. already but I used that to open a bank account, is it fine? Again, thank you & Happy Travels. Hello Grace, sorry for the late reply, I was out of country and the internet was very limited. Anyway, I think your bank statement should be fine but make sure to have a bank stamp. Also, there is no mandate on required salary to get a tourist visa. Just make sure that all the entries in the bank statement are easy to understand. Most of the consulates/embassies are ensuring that all your incoming money are legal and legitimate. As for salary certificate, I think you can use it. The last time I applied for visa, I only presented a salary increase notification and they accepted it. Enjoy your trip in Romania! I am planning on a visit to Bucharest. Being on an employer sponsored visa, I find that my visa due to expire on May 12th. I'm planning a trip during April sometime, do you think this might be an issue? In addition, I did try calling Romania Consular services in Dubai, they don't seem to clarify by doubt unfortunately. Are you talking about your UAE resident visa? In my case, I applied last December and my visa is about to expire on April 2015 but they still processed my application and was approved. It will be better if you apply your visa as early as possible. 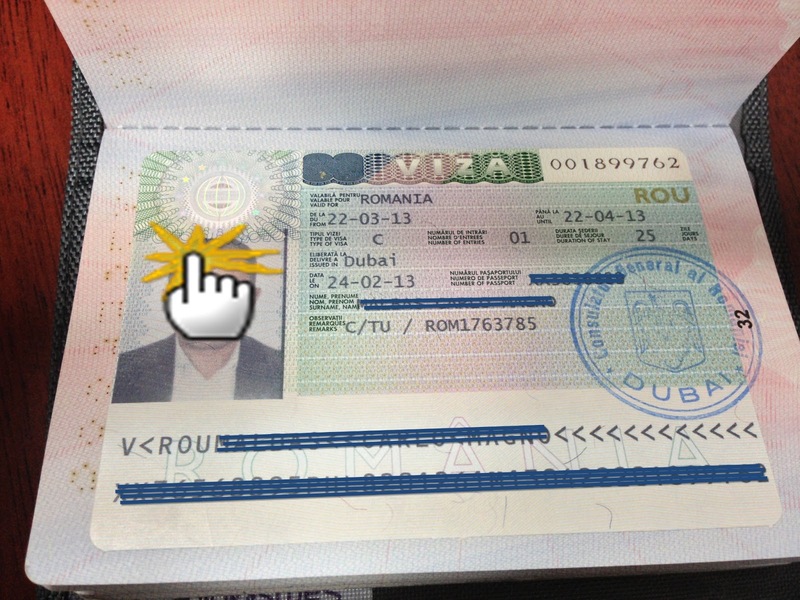 Besides, the Romanian visa validity will be on the dates of your trip to Bucharest. Hello Carlo, is it fine that my salary increment letter dated last Feb 2014? My main concern is I don't want my company to know about my personal travels. ;) Hope all things went well. Thank you & God Bless. Hello Anon 3:22PM, sorry for the late response. I am not really sure if last year's letter will still be valid. Because when I submitted mine, it was dated 2014 and I applied the same year. Is still better to call them or go to them directly but as a backup, you can prepare your bank statements. could you please advice which visa type should be easy to succeed ? If it's Short-Stay Visa for Tourism (marked C/TU) then how to get the invitation letter ? waiting for your favourable feedback. I will need the welcome letter / invite to apply for the romanian visa. I have tried all possible options - something you can suggest or help please? Short stay for tourism is the easiest visa that you can apply. I am not sure about the invitation letter because the last time I applied, invitation letter was not required. All requirements were stated above and no invitation letter was required. Invitation letter is not required. Is it being asked now? Previously invitation letter is not part of the requirements. The only documents they need were stated above. 1. At no point during the online application did the website ask me to upload the duly filled visa application form. Am i missing something there? Or do i just need to turn that it when i show up for the appointment. 2. I clicked "send file" and received a confirmation email, but it does not have a date and time for the appointment on it. 3. I am an indian citizen living in Dubai, how long should i expect the visa would take to process? i have applied for short stay (5days) for tourism vis to Italy Embassy through SKGS. i got a interview call from Embassy. could you please advice for next step ? what questions they are going to ask ? how handle this situation ? hey carlo, just a question... how long did it take you to get the appointment date after submitting your application and documents online? thanks. Thank God I found your post. My friend and I will travel Romania via Holiday Factory in July. We are currently searching for the most recent procedure in the tourist visa application in Dubai. Is the E-visa website you posted above still the current procedure? I have read that the filename of the documents you should attached should be in Latin. Did you follow this? Hello Varun, sorry for the late response, bit busy at work. Anyway, I believe after sending the file, they will need to validate it first then they will send you email about the appointment. I am not sure if Indian citizens will take time for visa application. Dear Adnan, I'm sorry but I haven't tried applying for an Italian visa. Hi Anon 1:28, it took me almost a week before they replied with the appointment date. Dear Diane, I believe yes, it is still the current response and I didn't submit the file in Latin filename. Thanks for dropping by. Hello Carlo, Could you please give me some sample questions on the FAQs during the interview? My Interview is scheduled 2 weeks before my travel date. All my documents are ready; you've mentioned here that the bank statement needs to be stamped, however, our bank doesn't want to put their official stamp on the original bank statements. Would that be an issue? Hello Anon 5:39, the questions are very basic. They will ask for your purpose and will just collect the hard copy requirements. It is not like US visa application which the questions are very different. The interview is quite easy and straightforward. As for the bank stamp, they only require it if you are giving a copy/downloaded from the internet. But if it is an original copy from the bank (you might need to bring the envelope) then no need for stamp. I have applied for the visa on the 2nd of September and I have booked the tickets from the 18th of September. do you think I can have the visa before the 18th ? Hello ensan-3ady, sorry for the late response. I was in Latin America for almost a month and my internet connection was very limited. How was your visa? Were you able to get it before your departure? Maybe you can provide us information and confirmation. Thanks. Hello, is it true that the validity of the visa is only for the period of intended stay? or is it for say, 2 months? Hi Carlo, hope you are doing fine. I want to re-confirm, the application validation (application online) takes 5 working days, then the embassy will contact/respond me for the next stage? its been 4 days today (09/12/2015), since i launched my application online. Appreciate your enlightenment :) have a great day. Stephanie. Hi Anon 10:23PM, usually yes but they give you few days allowance. In my case, I only need 2 days but they gave me 5. Thank you for this very informative blog! Quick question, upon submitting the documents online, how many days until you get an email for your schedule to pass the original documents? Hello Anon 3:26, in my case, it took me 3-5 days I think before I receive the confirmation and appointment. hello Carlo! how are you? information here really big help for me. I am here in dubai and i want to visit my friend in romania after my contract end on december, instead of going home straight to Philippines, can i apply on June 2016 for tourist visa and schedule of visiting on Dec 2016.? Thanks! Hi Susan, sorry for the late response. I am not sure if your visa will be approved. For sure they will ask you why you need to apply a visa when your trip is six months early. 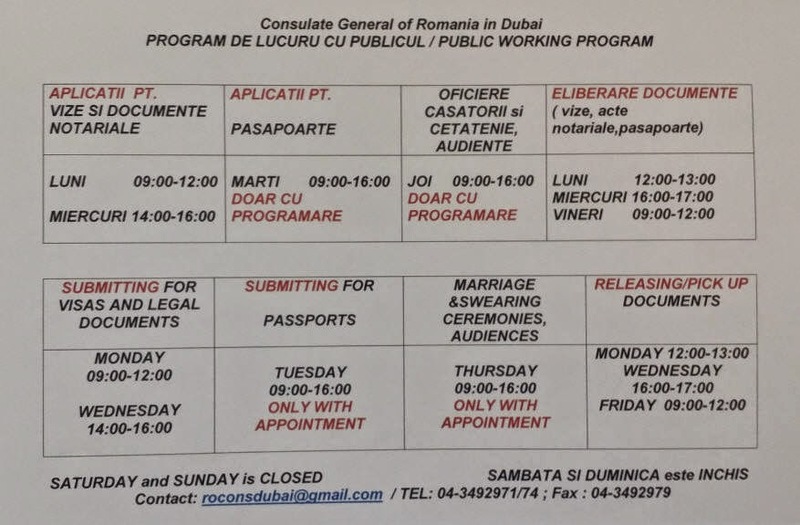 Also, I think their requirement is that your resident visa in Dubai should be at least 6 months valid when traveling to Romania. But maybe I am wrong, better to check them also. Do i need to get a real flight ticket to show in my visa application or a flight reservation ftom travel agency like dnata is acceptable ? 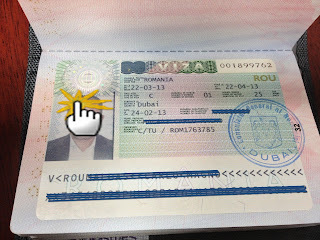 I have been reading all of the comments in your blogs lately re visa for romania. If the visa application got denied do they put stamp in your passport? Because for schengen they placed a stamp once your application has been rejected. I got Romanian visa for 30 days. In this trip, I'm also planning to visit Turkey to meet my relatives. But in number of entries in my Romanian visa I see: 01, can I enter multiple times with this visa? Hello a1 cubacub, not really sure. Don't know if they will stamp on it. Hello mohamed, better to get real tickets. I heard they verify it randomly. Hello Anaon 6:05, 1 means single entry. It can't be used multiple times. hi a1 cubacub, in my case before when I applied for visa, my residence visa was in my old passport and I got new passport so there is no problem with that and you can apply visa whenever you want just make sure your residence visa is still valid for 6 months or up to a year. Best time to visit Romania? They said September so you can arrange your trip now if you want. hi, thank you so much for the above info. i am confuse with some question in visa application from can you help me with that plz. Hi hina, which specific questions you are confused with? During my application, I did not need any invitation letter. So I think they will ask that depending on your national country. Good luck to all of you who want to come here in Romania. You have lots of places to see and enjoy. Hi frozen80, thanks for the information!